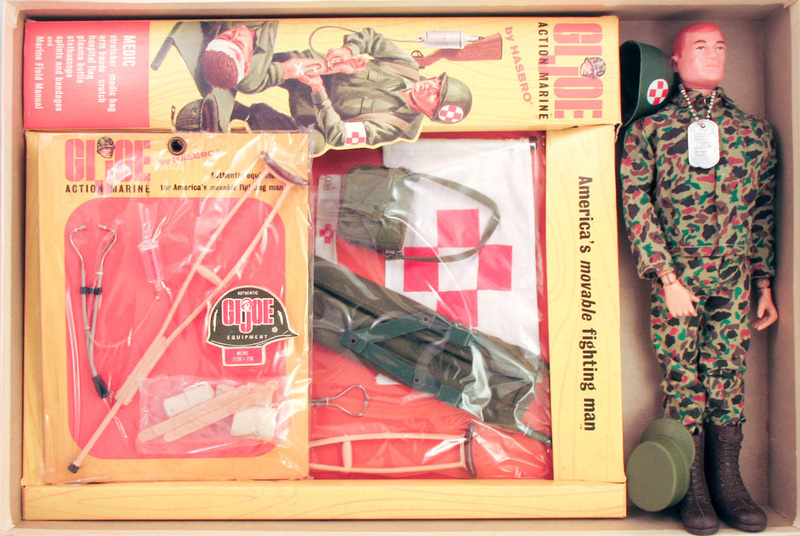 The Marine Medic Adventure Pack Special Value set (7733.83) contained a basic Marine action figure (7700) with camouflage fatigues and cap, a Marine Medic window box (7719), a Medic small card, and a medic helmet. 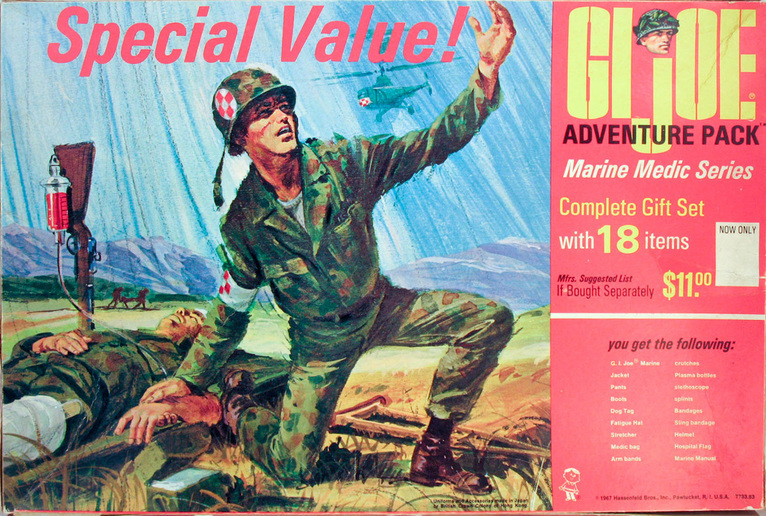 It is unclear whether the helmet was included loose, or whether it came on a 7721 First Aid card. 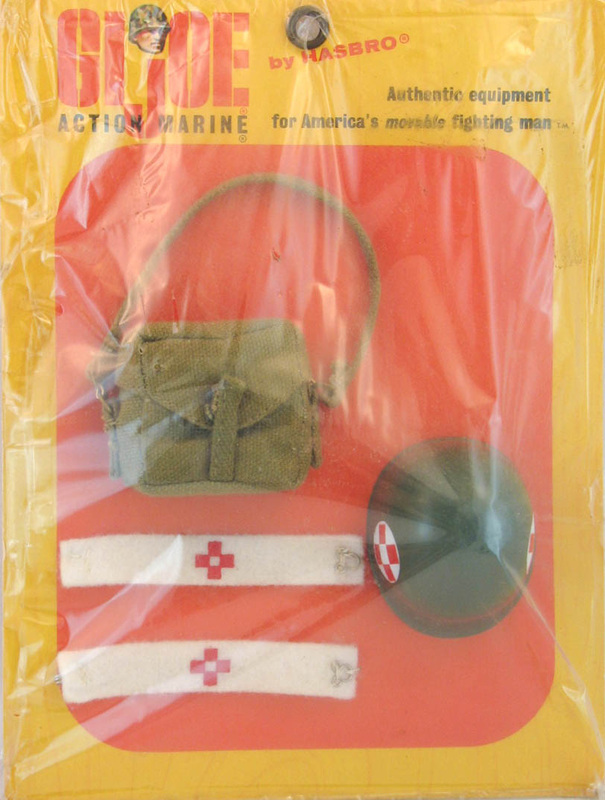 If the latter is true, it would have meant the set has four armbands and two medic bags. 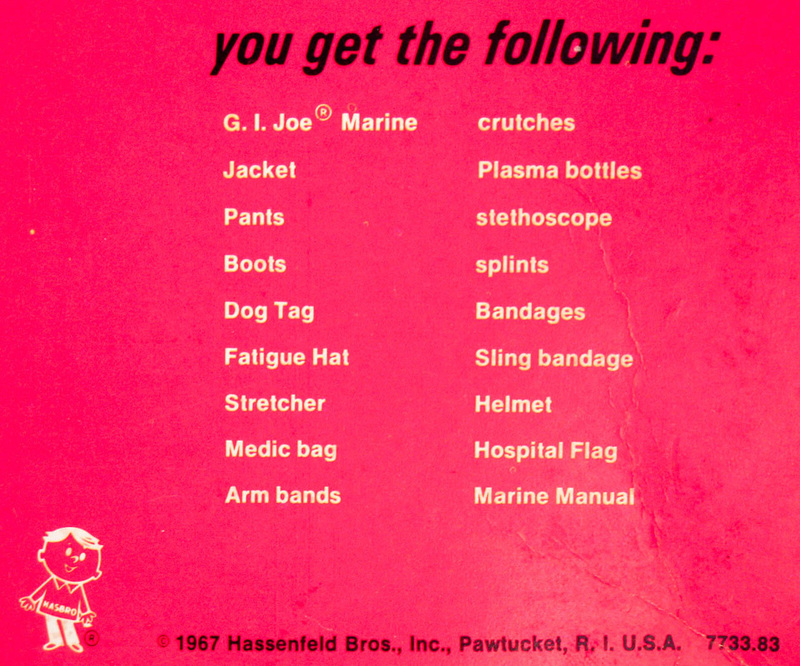 Above, the package contents, right, the "First Aid" card that may have been included in the box along with a Action Marine. If anyone can clarify the configuration of the contents, please contact me!